It is hard not to feel a bit of anger and sadness when watching KMS – Jewish Negroes. This reaction is actually quite fitting considering that a lot of the music KMS produces expresses their anger towards the world they live in. Living in a large ghetto in central Israel, the members of group must endure daily persecution simply because their skin is darker than most. Despite being Israelis, the fact that they are descendants of Ethopian Jews makes them barely second-class citizens in the eyes of most. One of the shocking things about KMS – Jewish Negroes is how blunt the racism is in that region. KMS reflect on the harassment and abuse that they have had at the hands of the police. Kabeda even points out how the legal system uses events that happened 18 years ago, which have no connection to current cases, to create an unfair profile of a person. While hearing rappers complain about the legal system may not be anything new, it is the racism closer to home that really sticks out. 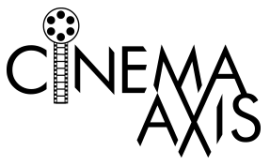 In the opening moments of the film members of the band encounter three older women outside who inquire about what is being filmed. When Meir tells them it is a film about racism and the fact that blacks in Israel are deemed hooligans, one of the women quickly response “it’s true, the kids behave badly.” This sparks a heated debate between the band and the women where the stereotypes flow freely from the women’s mouth. They do not consider Ethiopian Jews to have the proper “upbringing in this world” like other Israelis and complain that Ethiopian Jews play their music to loud, are on the bus instead of at home, etc. It is clear early on that no matter how strong their faith is, Ethiopian Jews will never be considered true Israelis. Despite believing that this mindset will change one day, the band knows that they are living within a system that is designed to see them fail. KMS – Jewish Negroes does a good job of displaying how the current class system impacts both the group and the music they produce. A Moroccan man living in the community jokes that Israel is becoming like Harlem. Though he shifts to a more serious tone when stating that he thinks the whole immigration policy is a state scam, as the state gets money for every head they bring in. Unfortunately once the immigrants are in, they are placed in the slums without receiving the proper tools to be successful. In various discussions throughout the film KMS lament about the neighborhood women going into prostitution; and those who have jobs are getting paid little for their many hours of labour. The class system is especially evident when it comes to what the various rappers sing about on stage. At a local Young Band Night, KMS perform their songs about hardship, racism and life in general while a white rapper performs a song about how he is “getting fatter.” Although a humorous moment, it speaks volumes about the differences amongst the classes. 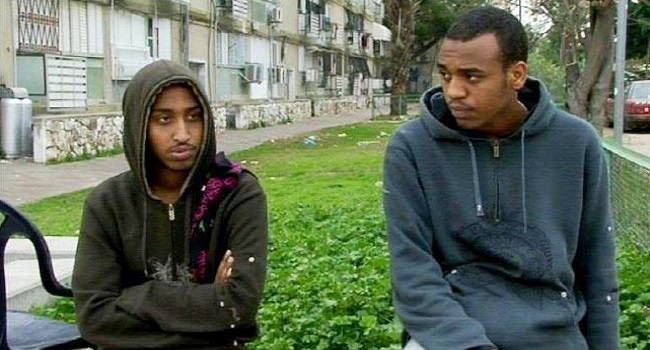 While scenes like the Young Band Night, and when Kabeda refers to the local Guardian Angels organization as “bored people who nothing to do at home”, provide the film with a much needed dose of humour, it is hard to shake the hopelessness that this generation of Ethiopian Jews feel. Ifergan crafts a film that is both engaging and heartbreakingly honest. This is one of the must-see films playing at the festival. Full festival program and ticket information can be found on the North By Northeast (NXNE) Festival website.